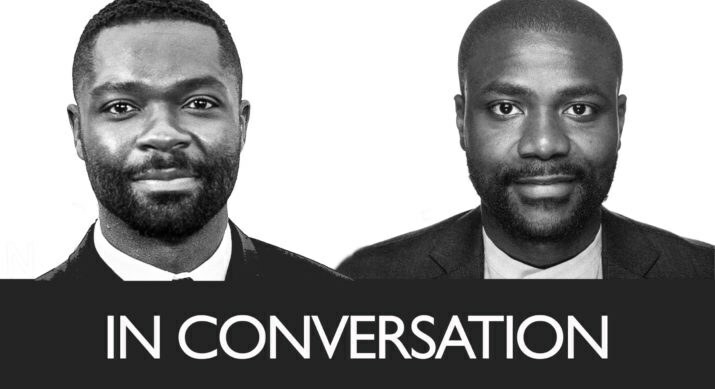 Award winning actor David Oyelowo dialogues with OkayAfrica CEO Abiola Oke. This is part 1 of a three part discussion. Read part 2 here. Read part 3 here. David Oyelowo is currently one of Hollywood's most sought-after leading men, and an “Officer of the Order of the British Empire" whose background in theater gives his acting a depth that outpaces all but a few of his contemporaries. We loved him last year as Phiona Mutesi's big-hearted chess coach in Queen of Katwe and for his career-defining role in Ava Duvernay's 2014 film Selma for which he won a Golden Globe and an NAACP Image Award. In this dialogue, he connects with our CEO and Publisher Abiola Oke, speaking candidly about film, family and being a proud Nigerian. 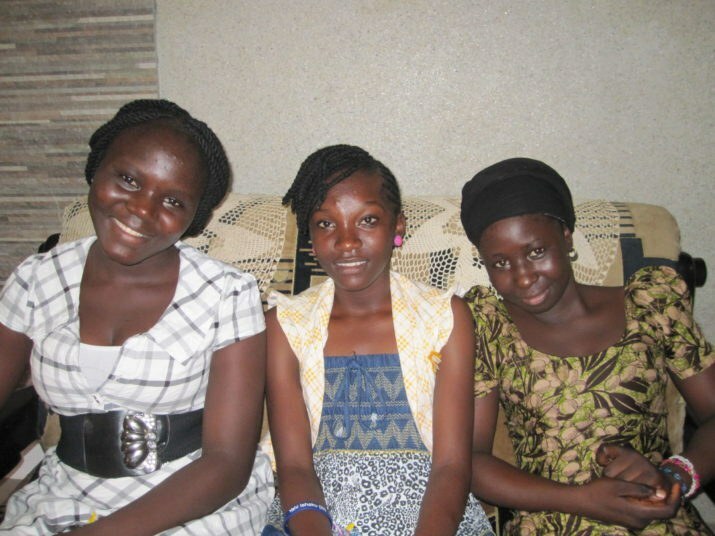 Part 1, this week, is focussed on his scholarship with GEANCO for girls affected by conflict in northern Nigeria. We caught up with the actor soon after his mother's passing and it's a sign of how seriously the actor takes his work that he answered our call at all. David Oyelowo: Hi, is that Abiola? OkayAfrica: Yes it is. Is this Mr. Oyelowo? I know I was meant to get on the phone with you guys earlier today. We've had a bereavement in the family, so it's been a bit of a challenging time, but I'm glad I could finally get on the phone with you guys. Thank you, and sorry about that. I can only image what that's like. How old was she? Was it a slow pass or was it sudden? It wasn't sudden, in all honesty, she was in her late 60's—which is, obviously not old by any means—but she had been ill for about three years. So it was a slow process, unfortunately, but that's also what enabled us to sort of be more relieved than purely crestfallen about it because you know, her pain is now over. Yeah. It's another testament to how short and fragile life is and we all really need to take it easy and just focus on the things that matter, you know? Yes, 100 percent. It definitely has that effect of really helping you boil down what's actually important in life. So yeah. I'm glad that despite all of that we're able to get on the phone. Absolutely. And you know, speaking of what's important, it was actually pretty interesting to hear that you were involved with a scholarship with GEANCO. Can you tell us a bit about that? Well, as a very proud Nigerian, I don't think it's permissible to be afforded a degree of notoriety and not use that for the good of our country. The world gravitated toward the Bring Back Our Girls movement as those events unfolded a few years ago, but inevitably people's attention gets pulled elsewhere and that doesn't mean that the issues and the byproducts of the issue aren't still with us. So for me it was born out of a desire to not just talk about it, because as an actor, people know I'm from Nigeria so they want to talk about it. I could go on press calls and talk about it or I could actually try and do something. Even if it's ultimately a drop in the ocean, it's still a drop and so that's partly what gave birth to me partnering with GEANCO on this. 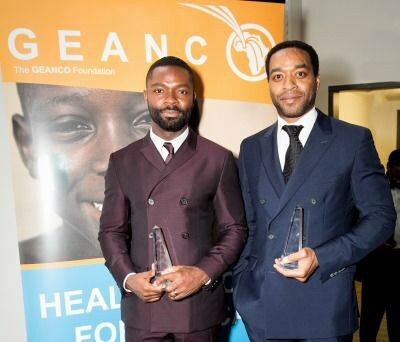 I mean, they've already been doing extraordinary work in Nigeria with their pop-up clinics and their desire to build this amazing hospital and the work they've also been doing with Chiwetel Ejiofor for the school that Chiwetel is supporting in Enugu. So you know, it was that issue that really burned in my heart. What happened when the media turned its attention away from these girls who have been indisputably affected by Boko Haram, by a concerted effort to deny them not only of their education, but their families, their dignity, their security through the violence they've encountered. So those were all factors in deciding to give birth to this scholarship. And so, what's the criteria in order to earn the scholarship? And it's primarily focused on Nigerian girls, if I'm not mistaken, correct? It's primarily focused on girls who have been—for now, anyway—directly affected by Boko Haram. And so what we do is we go into areas that have been affected by this crisis—mostly the Maiduguri area or Chibok itself—and we try to find the most vulnerable. We look for those girls who would very discernibly have their lives changed for the better by this scholarship—the ones who show a desire to be educated. Basically, it's to take back some ground in terms of this really insidious desire to deny girls education, and so we want to do a lot more. This first round of girls is only three girls and next year we want to do more, and we'd want to be able to do a lot more than even that. So yes, that's the criteria so far. That's amazing. I know, obviously, with Nigerians, charitable giving is in our DNA when we work as a family unit, but there is still a ways to go for us to make charity part the national discourse. What do you think about how to influence Nigerians? Well, you know, I've been so inspired by what Oprah Winfrey has managed to achieve with her leadership academy in South Africa. And that leadership academy was very much born out of her relationship with Nelson Mandela while he was still alive. She saw a need and she met that need. And I went to that academy and it is just the most extraordinary incubation for excellence, and it is very clear to me that a lot of the young women who are going to graduate from that school are not only going to be influencers within South Africa but the entire African continent and beyond. They are going to be the leaders of tomorrow. And for the better. And so Nigeria is also one of the giants of Africa, and I am very proud of the fact that we are not shy about excellence and we are not shy about sharing our excellence with the world. So in my view, I think if you're a proud Nigerian and you are aware of the fact of just how influential Nigeria is around the world, then of course you want to contribute to Nigeria's foundation because the more our reputation generally grows, the better it is going to be for us at home. Yes, it's about charitable giving, but it's also an expression of our pride in the country we're from. It's true. And as we say, Naija no dey carry last. We definitely won't be carriying last in this department as well.